There's something about overcoming a massive challenge that adds an excitement level and sense of achievement that is simply not seen in more casual games. This is the reason why Myst was so popular back in the early 90s and why the Dark Souls games have struck such a chord with role-playing fans. The Room did this for the iPhone and iPad. A great, challenging game with few hints on how to overcome the puzzles, The Room forced us to use our minds to solve the game. But it isn't just the challenge that sets The Room apart from the crowd. It is also the beauty of the game. It is the soundtrack, which is not quite haunting, not quite eerie and yet not at all Enya. These little touches set the game apart. And yet like all games similar to Myst and The Room, when it is done, it is done. Luckily The Room has spawned The Room 2 and The Room 3, but if you have gone through the sequels and are looking for the next great challenge, here are a few great puzzle games to download. We might as well start with the free-roaming version of the godfather of all great puzzle games. The realMyst sequel to the best selling game of the 90's was a re-imagining of the original that put you into the 2D world, allowing you to explore it in all of its glory. 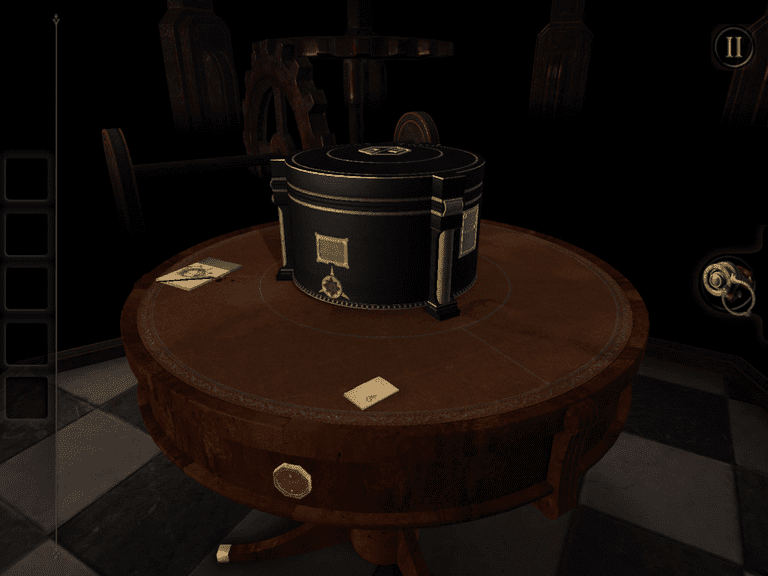 If you loved The Room and never played Myst, this one is a must. It's puzzle-adventure meets Wall-E. This fun game has you playing the role of a robot that can squish his body together and stretch out, allowing you to solve unique puzzles. Known for its high level of difficulty, this one isn't for those who want to run through the puzzles and breakneck speeds. Unassuming Joe the Plumber is about to go on the adventure of his lifetime...or perhaps two lifetimes. This time-traveling adventure game has you moving back and forth between 1972 and 2012 where mankind has become extinct. A nice twist on the puzzle adventure game, this one really nails the 'present day' of 1972. A beautiful game, Shadowmatic takes the Hidden Object game and turns it into a make-the-object game. The game goes through a series of rooms that each have different lighting and challenges you to rotate strange shapes hanging in the middle of the room to cast shadows into a specific form. The House of Da Vinci is about as close to The Room and its sequels as you can get without it being developed by Fireproof Games. This one is for those who really, really can't wait for the next in The Room series. But while it is obviously a Room-clone, don't mistake it for being cheaply developed. House of Da Vinci is a high-quality game that will definitely feed your need for a good puzzle solver. A puzzle solver that makes you feel like you are in a cartoon version of a James Bond film, Agent A doesn't do too much that is new, but it does almost everything very good. You'll find the same basic tap-and-solve mechanics with plenty of items, clues and puzzles strewn about the house. Device 6 takes the classic wake-up-with-no-memories theme and mixes in high doses of nostalgic text-based game play alongside the mobile world of images and videos. This is well-written tale that will have you chuckling as you slowly discover more about Anna, the protagonist with the memory issues. A beautiful blend of hidden object gameplay and difficult puzzles to solve wrapped in a cartoonish charm suitable for a toddler, this is the perfect game to play with the family. The puzzles may be too hard for an 8-year-old, but kids can join in the fun by helping spot some of the puzzle pieces that can easily blend into the environment, while adults will enjoy a challenging game. Download The Tiny Bang Story. If you're still looking for great games, check out these Best iPad Games of All Time.